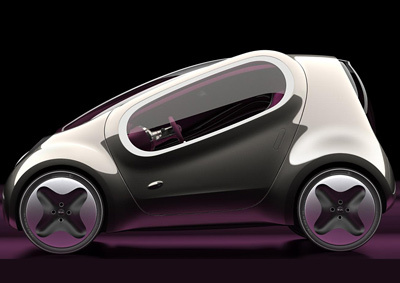 The Kia POP was one of the vehicles which went on display at the 2010 Paris Motor Show. 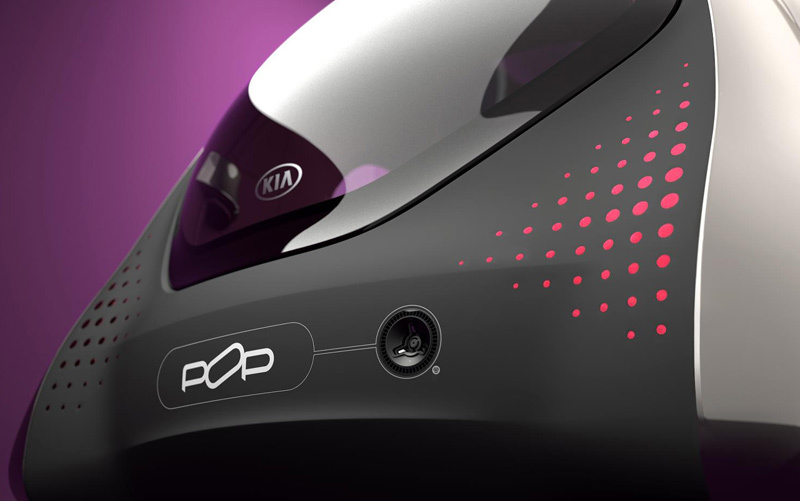 The Kia POP is a compact, electric powered, commuter car concept which has a bubbly and cute appearance. The slightly odd shape of the car, with its massive single piece windscreen/roof panel, is accentuated by the symmetrical oval side windows - which almost look as if they don't fit the shape of the vehicle. Power for the Kia POP comes from an all-electric drivetrain which is recharged by plugging it into any wall socket. 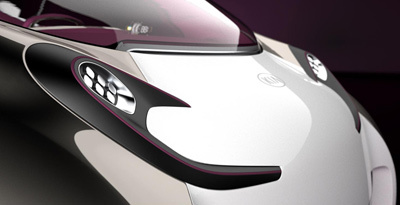 The interior of the Kia POP features seating for two. 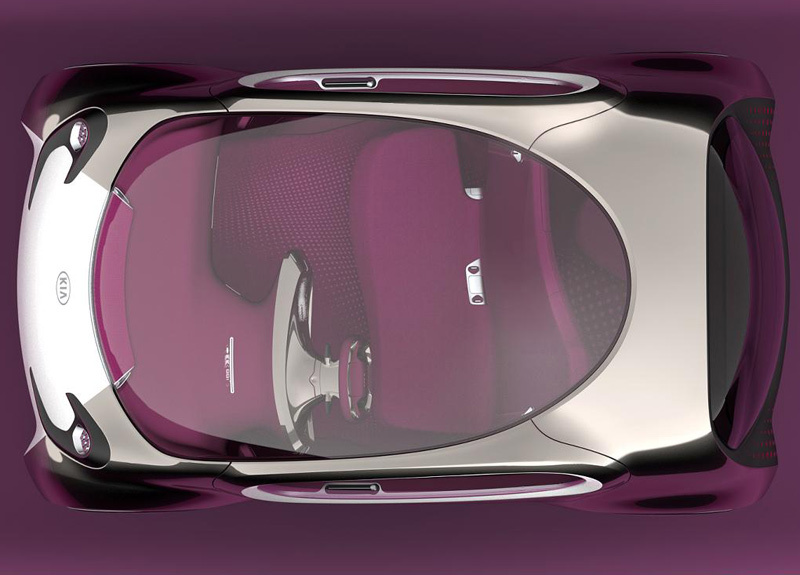 The seats themselves are actually one single curvaceous bench seat. The passenger sits ever-so-slightly forward of the driver - which leaves more room in the rear cargo area.